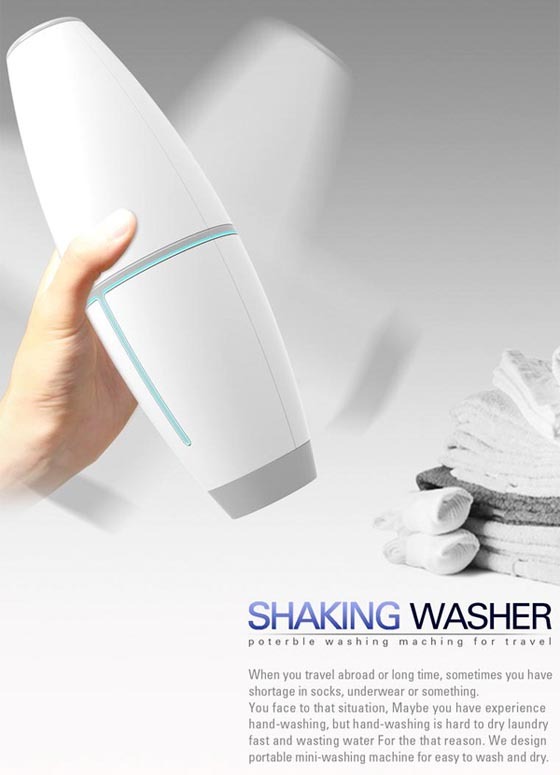 Shaking Wash is an interesting concept designed for travelers who want to wash smaller articles like underwear and socks by themselves. Of course, you can alwasy hand wash them. However, hand-washing is hard to dry laundry fast. 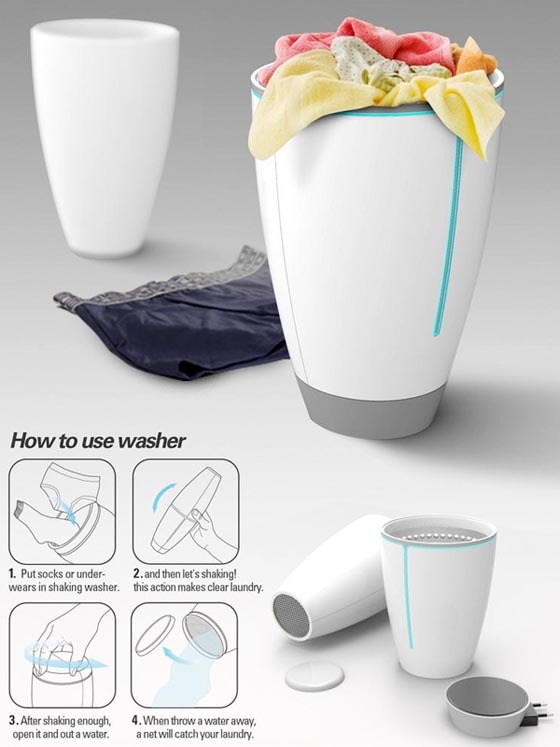 Hence, designer Jung Seub Lee conceive this portable mini-washing machine. 1. Put socks or underwear in shaking washer. 2. Shake the machine – this action makes clear laundry. 3. After shaking enough, open and pour out water. A built-in net catches the clothes as the water is poured out. 4. 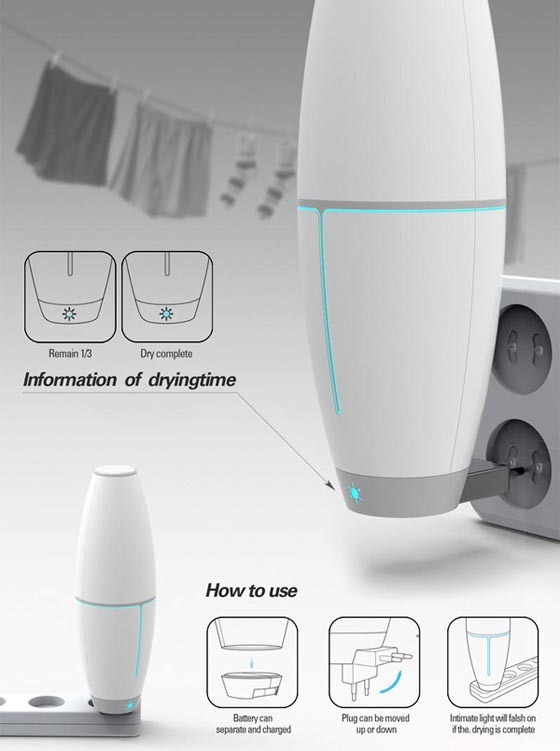 Dry cycle can be powered either by batteries or by plugging in the retractable plug. A light will indicate how much time remains until the cycle is complete. It sounds like a perfect gadget traveler would like to have during their trip. Would you like to have one?